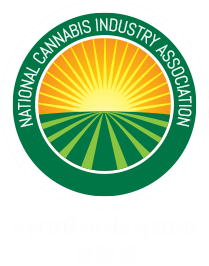 The Cannabis Industry's ONLY Source Dedicated Completely to the Extraction Industry... written by Extractors for Extractors to this: A publication catering to the extraction enthused professional with daily extraction news, research, and opinions. Written by extractors for extractors. Investment in Cannabis Extraction – Is it Being Overlooked? Cannabis extraction has become somewhat of a buzzword, but amidst all the hype, the road to this niche’s all-around improvement and evolution can get obscured. Without capital investment in education, research, equipment, and technology, cannabis extraction might remain skidding in one place, unable to reach the uncharted territories where extracts’ true potential lies. The industry has made some significant strides in the right direction since some extraction-related incidents gave the whole niche a bad name. Nevertheless, there is certainly room for improvement since comparing different extraction methods is like playing rock-paper-scissors – the ultimate, refined methodology is yet to be seen. CO2 extraction is pure and toxin-free, but by removing unwanted toxins, this longer and more aggressive process also takes a toll on the cannabinoid and terpenoid profile of the extract. Some extractors believe ethanol extraction is as safe as CO2 and is as efficient as butane, but ethanol’s polarity results in compounds like chlorophyll ending up in the mix and giving the final product a bitter, grassy flavor which is hardly to anyone’s taste. Chromatography extraction, on the other hand, might often not be precise enough to achieve pinpoint separation since terpenes and even cannabinoids can travel through the silica toward the end product with roughly the same speed as unwanted substances and thus creating an extract whose profile is not as pure or clearly defined. Furthermore, one of the biggest shortcomings of extracts as a whole is the loss of the entourage effect which “magnifies the therapeutic benefits of the plant’s individual components – so that the medicinal impact of the whole plant is greater than the sum of its parts,” according to Project CBD. (3) Since extractions isolate specific kinds of compounds, the synergy between terpenes and cannabinoids cannot be activated unless the terpenes (4), are specifically added to a concentrate – a practice, which offers a lot of room for creativity but is attempted mostly as a hobby rather than with professional systematicity. Some investment and methodology can channel this creative freedom into tangible results. THC, CBD and terpenes are the most popular cannabis compounds, but we keep discovering more cannabinoids and terpenes and their concomitant therapeutic properties. We are currently aware of 146 known cannabinoids and over 200 terpenes, and these counts seem to ritually increase.. Researchers have marveled at the various mysteries of the CB2 receptor and how beneficial its interplay with different cannabinoids can be. (2) Science has explored some compounds and pinned down their specific curative effects while merely marking others as areas of interests which require additional funding. Investing in research is one of the safest bets the industry can make. Cannabis extraction has considerably evolved from dodgy basement operations, but more R&D is needed to continue to generate refined methods thereby creating the highest purity concentrates the industry has seen. (7) And without capital investment, these products will remain in the sci-fi realm instead of becoming reality. The Terpenes and Testing Bi-Monthly print magazine is a complete technical reference. This blog is separate from the magazine as it addresses the latest cannabis news, product reviews, and more colloquial subject matter. Please refer to our editorial content for a comprehensive assessment of these complicated practices.